Listening to HAIM makes me feel very spring/summery. And I've been listening to them all month trying to usher in the nicer weather, however unfortunately not to much avail. But, their music has put me in a more upbeat mood, especially the song If I Could Change Your Mind. I mean, you could pretty much call this a song of the month, as I've listened to it probably everyday, but it's gotten me through the last week of term rather nicely, so I thought I'd do a little post on it. 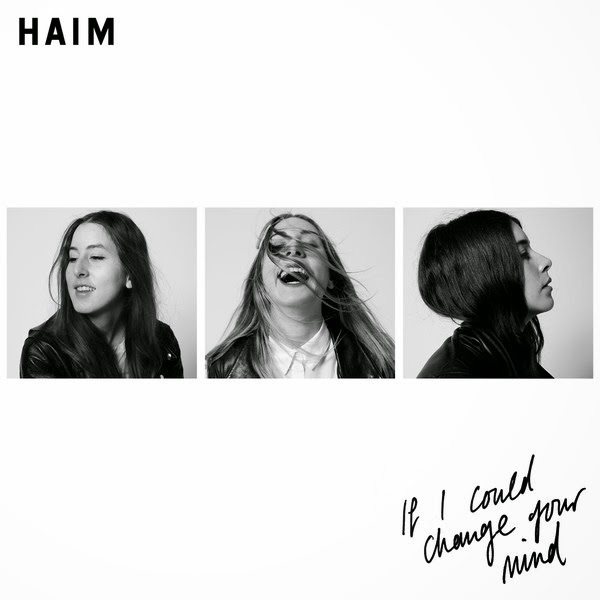 I really love Haim's sound, and how it's kind of retro but equally feels very modern at the same time. The band could be defined as pop-rock, but definitely with some strong 70s influences. It's the sort of sound that somehow manages to instantly put me in a good mood no matter what, and that's always something I'd like to hear. I think the lyrics and instrumentation work really well together, encompassing the perfect sound for the song. The song was released on Haim's debut album Days Are Gone in 2013, and further released as their fifth single in March 2014. I would recommend having a listen if you'd like to, as it's just a really great song (and it's pretty fun to dance around your room to).